IBPS Admit Card 2018: Download IBPS Admit Card for PO/MT/Clerk/SO/RRB (CWE VII, VIII) examination Now! Institute of Banking Personnel Selection has now issued IBPS Hall Ticket, so applied aspirants can get it now through online process. Institute of Banking Personnel Selection announces various jobs with the aim to recruit the eligible, deserving and enthusiastic candidates in different participating public sector banks through India. Thus, common written examination is conducted to check the capability of the applicants. IBPS Admit Card Download Link!! Candidates who have applied for any IBPS job vacancy have to appear for examination along with www.ibps Admit Card as it is the identity proof of the applicants. So, must download IBPS Pre Admit Card either through official site or directly from here. To download IBPS Mains Admit Card one must require Registration No. 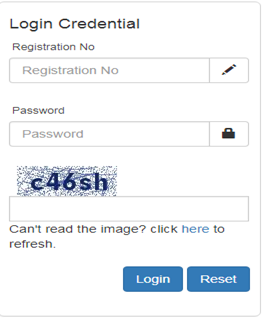 and DOB / Password which is provide at the time of registration. We have provided simple and easy instructions to access the IBPS Admit Card PO Exam for your ease so must have a look!! IBPS Interview Call Letter for the Post of Research Associate!! Institute of Banking Personnel Selection (IBPS) has issued IBPS Interview Hall Ticket for the post of Research Associate. The Interview process is going to be held on 24-05-2018 so; eligible aspirants may download IBPS Research Associate Interview Admit Card now from official website or from below given direct link Till 24-05-2018. Applicants, to get additional details about the IBPS Admit Card 2018-19 must go through this page which is well created by the team member of www.privatejobshub.in. Every Year, various Probationary Officer/ Management Trainee jobs has released, thus to fill PO/ MT vacancies in various participating banks, Institute of Banking Personnel Selection conducts common written examination. Selection of the participants will be based on Exam and IBPS PO Interview. Applicants have to qualify Preliminary exam and Main Examination and then appear for Interview. To appear in selection round one has to download IBPS CWE PO/MT Admit Card. With the intention to select the capable as well deserving candidates for Clerk post in various public sector banks Institute of Banking Personnel Selection has decided to conduct Preliminary/Mains Examination and IBPS Clerk Interview. Those who want to get recruited for the Clerk posts have to appear and qualify all rounds. Candidates should download IBPS Admit Card for clerk to participate in the exam. Institute of Banking Personnel Selection announce various specialist officer jobs such Law Officer- Scale I, Rajbhasha Adhikari Scale I and various other officer in Scale I, II & III time to time. Thus, to fill up IBPS SO vacancies with suitable aspirants Institute organizes Preliminary/Mains Examination and Interview. For each selection round Institute published different IBPS SO Admit Card. So, one cannot participate in recruitment rounds without getting IBPS Admit Card for SO. Institute provides Officer Scale-I, II, III and Officer Assistant jobs in various prestigious Regional Rural Banks across India to those who qualify preliminary, mains examination as well as personal interview. Participants have to download separate IBPS RRB Admit Card to appear in each selection round. IBPS Admit Card CWE can be downloaded through official site or directly through this page. If you are not aware how to download IBPS Hall Ticket then, you can follow the below mentioned instructions to access the IBPS call letter easily, we have provided simple and easy step to download IBPS Exam Hall Ticket for your ease. To get IBPS Admit Card 2018 first of all, applicants will have to visit Official Website of Institute that is www.ibps.in. From the home page, select the suitable “IBPS Admit Card Download” link. Now New page of IBPS Admit Card Login will be opened having text box. Thereafter, IBPS 2018 Admit Card will be appeared on the screen. Download IBPS Exam Admit Card and check all details mentioned in it. Take physical copy of IBPS Admit Card 2018 and bring it with you while appearing for Examination. Institute of Banking Personnel Selection is an independent recruiting body which conducts Common Written Exam (CWE) to check the eligibility of the appliers for PO jobs, Bank Clerk Jobs, Bank SO Jobs and Bank RRB Jobs in 27 public sector banks across India. Institute hires aspirants on the basis of Exam and interview. Examination is conducted 2 stages that are Preliminary and Mains which is followed by group discussion or personal interview. Institute Of Banking Personnel Selection Call Letter is very important documents which one has to carry at the time of examination as without it no one will get permission to enter the exam hall. Is There Negative Marking In IBPS? As well discuss above Institute Of Banking Personnel Selection Admit Card is mandatory to bring in the examination but one also bring Valid ID proof & the recent colored Pass port size photographs. Participants have to appear 30 minutes before the schedule of examination. Candidates are not permitted to bring even calculator in the exam hall. Do not carry Mobile Phones, IT Gadgets and other such electronics gadget in the exam center as these are banned in the test venue. Applicants are advice to go through the official link to get IBPS Admit Card 2018-19 directly. Candidates are requested to keep visiting to our site www.privatejobshub.in regularly to grab upcoming interesting facts. One can also bookmark this site to get all latest updates of IBPS Admit Card by pressing ctrl+d key. Candidates can also connect with us through Google or Facebook. If you have any query related to IBPS Mains Hall Ticket/ IBPS Prelims Hall Ticket then you can leave comment in below commenting box.